Why didn’t I think of this earlier. 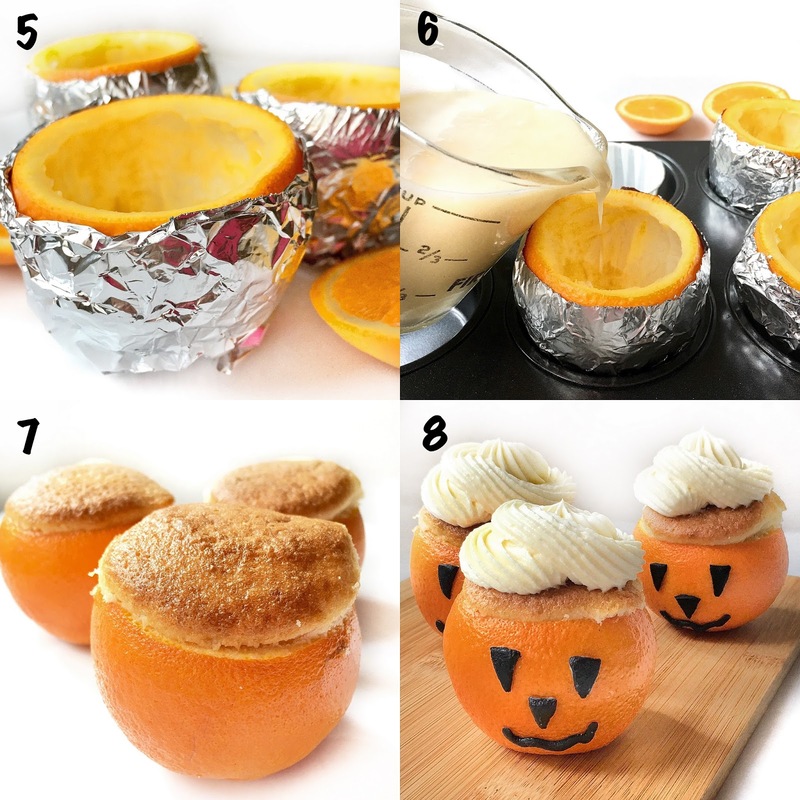 Mini Orange cake pots. Pots not pops. The last time I made cake pops, my house was infested with ants for a few weeks. My mum and I couldn’t get over that horrifying experience. 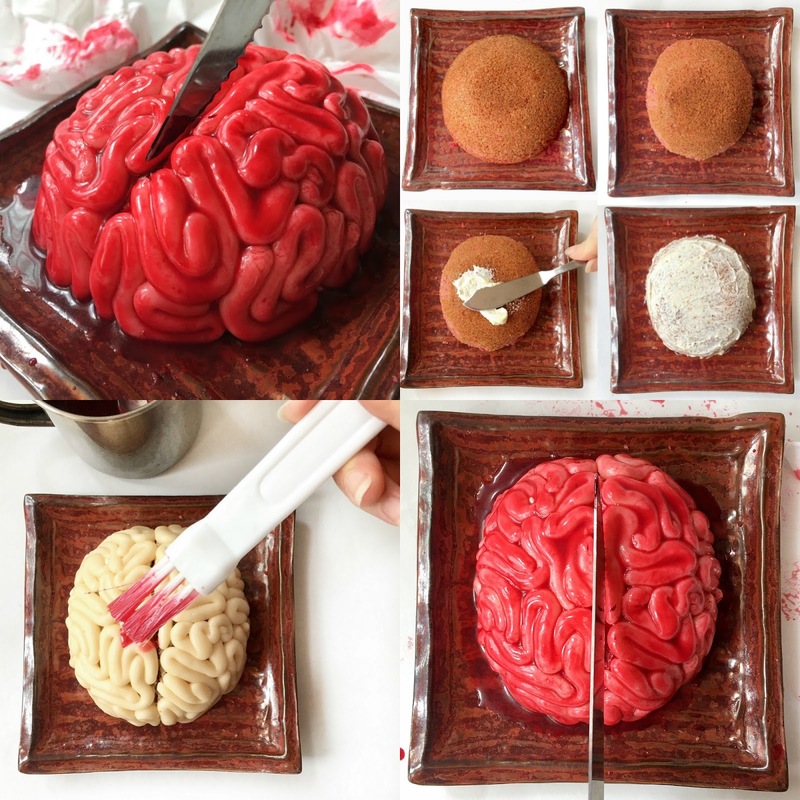 The candy melts were dripping on the floor, in the fridge etc. Maybe because I didn’t have proper cake pop stands or maybe because I just didn’t know how to make a darn cake pop! ARGH. But anyway. 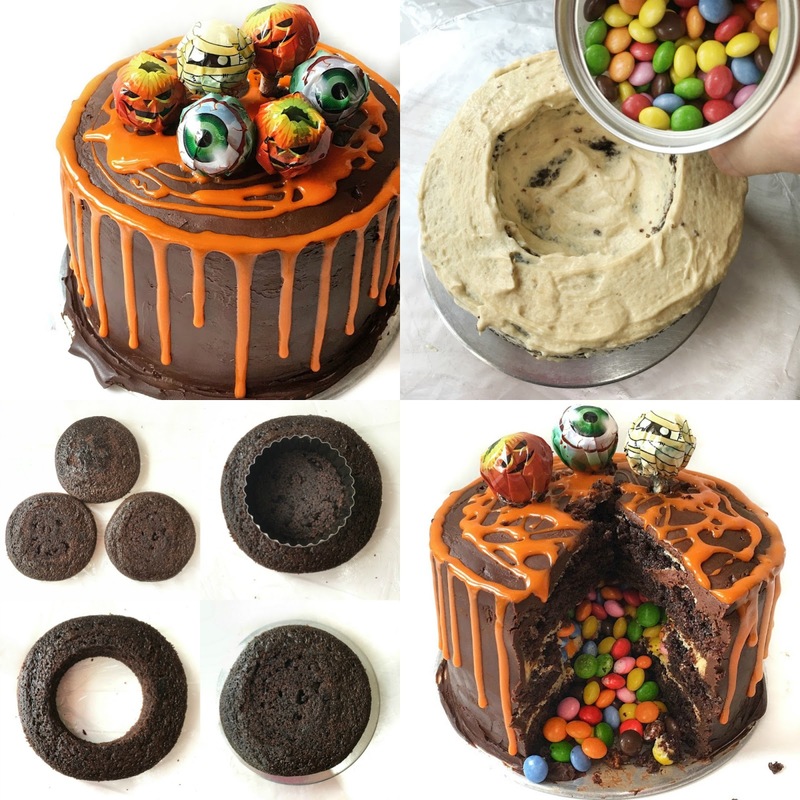 This cake pot is nothing like the cake pops I did. It’s a much cleaner version. Everything is served in the fruit itself and there is no wastage at all. So cake pot is basically cake baked in a pot ( In this case an empty orange shell with the pulp and juice taken out). It’s sort of a cupcake just that you don’t have to spend extra money buying those liners when you can actually make full use of the orange. What a genius idea. Don’t thank me. Thank Pininterest. That is where wacky crazy ideas are born. 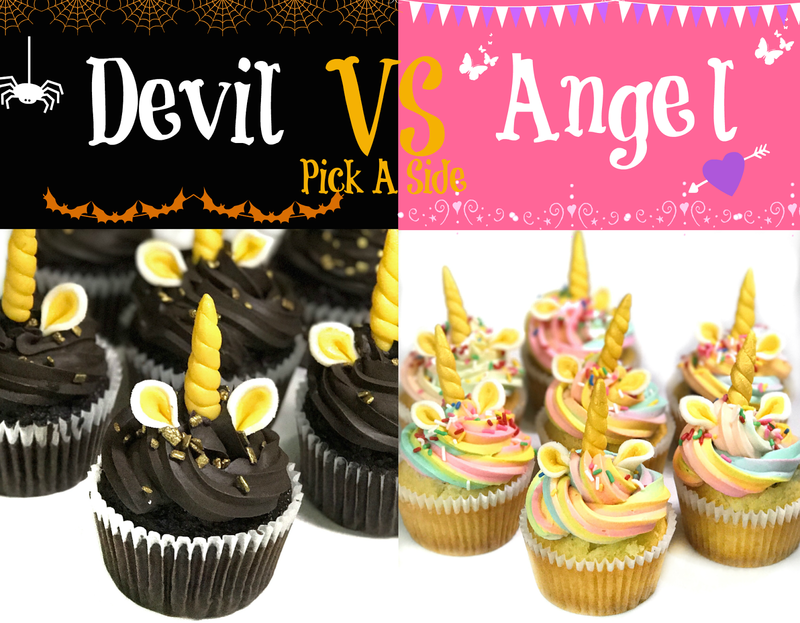 Two choices after you bake the cake. You can just enjoy it as a cake or second, you can go an extra mile and create some frosting or mousse to go with your cake. I opted for the second option because option 1 ends there. Option 2 gives you time to play around with your creation for a teennyyy bit longer. 1) Wash the oranges and dry with a towel. 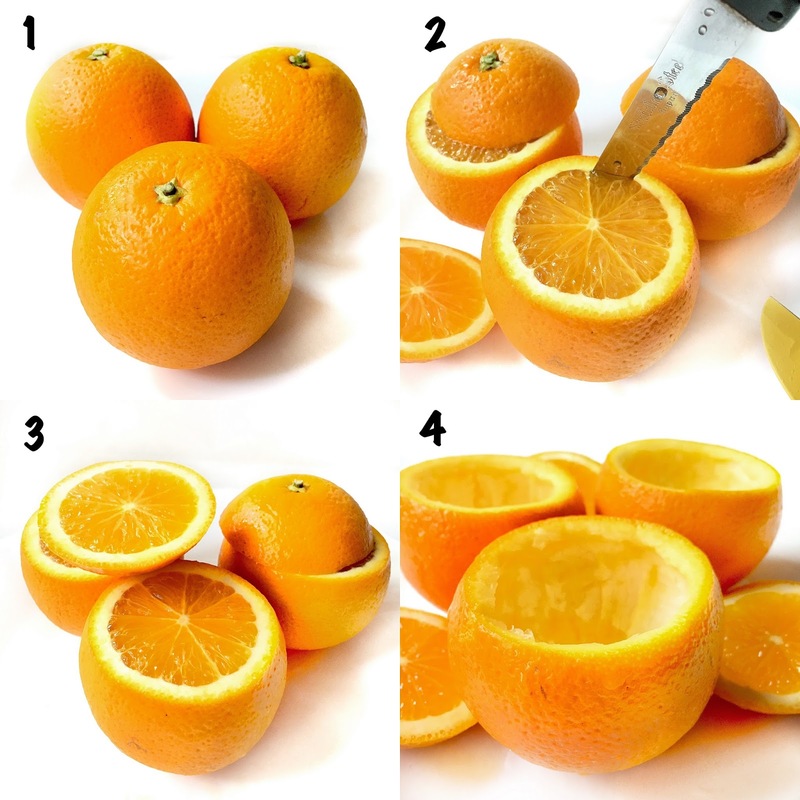 3) Use a knife to dig out the pulp and flesh of the oranges. When using the knife, you have to be careful not to poke or tear the orange skin as it needs to be intact while baking. I found that using an orange squeezer to first extract out the juice and then use my fingers to peel off the pulp an easier way to ensure that the skin stays in tact. 7) The cupcake should rise nicely over the top. If not use a pairing knife to trim the uneven portions. 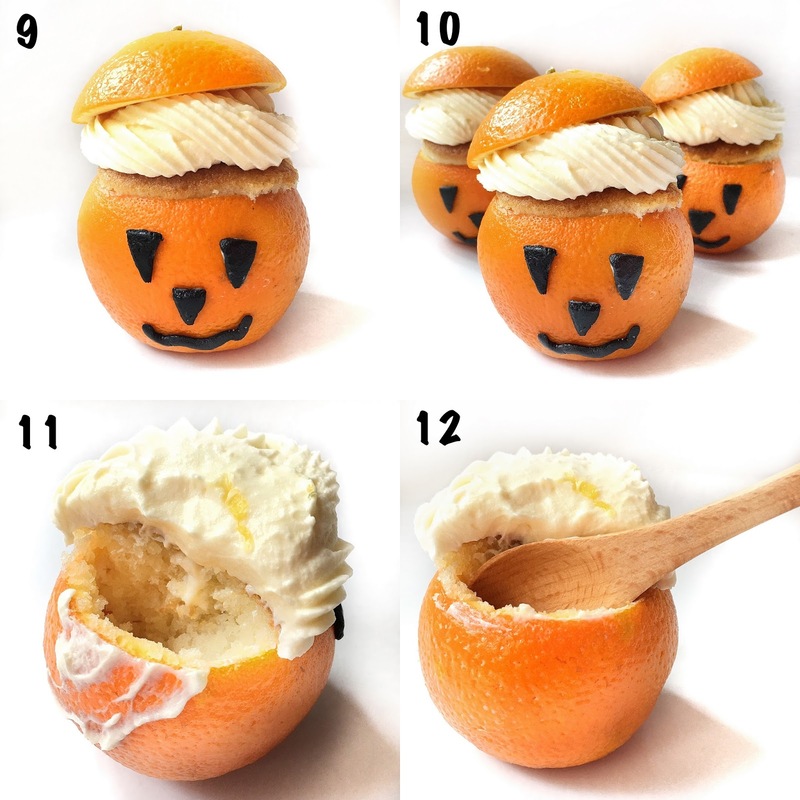 10) Place the portion of the orange you cut off on top of the buttercream as a “hat”. Feel free to experiment with other fruits. Maybe dragonfruit, pineapple, bloodorange, lemon would work? Do drop me a comment below should you attempt other fruits! Would love to hear how it goes!